Jonny and Lucy Photoshoot. . Wallpaper and background images in the Sherlock & Joan club tagged: photo jonny lucy sherlock joan elementary. 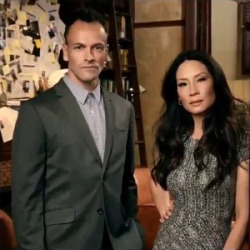 This Sherlock & Joan photo might contain suti biashara, biashara suti, nyayo, suti ya nguo, seti, and seti ya nguo.